WHO: BMI (Broadcast Music, Inc.), the global leader in rights management, was proud to announce that multiplatinum superstar Janet Jackson named a BMI Icon at the 2018 BMI R&B/Hip-Hop Awards. The event will be held Thursday, August 30th at The Woodruff Arts Center’s Symphony Hall in Atlanta and will be hosted by BMI President & CEO Mike O’Neill and BMI Vice President Creative (Atlanta), Catherine Brewton, with Lifestyle Specialist Kenny Burns as co-host. 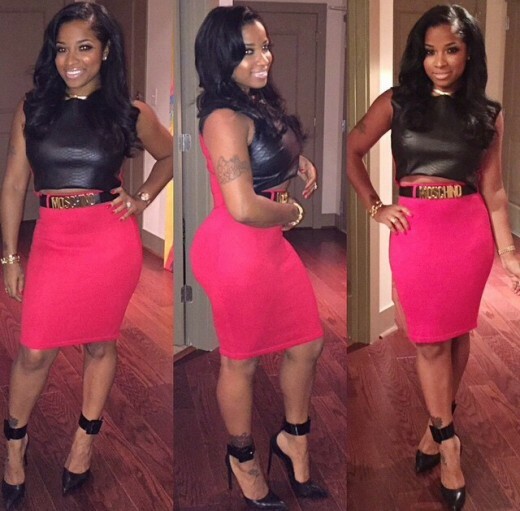 PHOTOS: Angela Simmons, Keisha Knight Pulliam, Monyetta Shaw, & The Dream Spotted at Scalpel vs Spatula! As a foodie I live for the opportunity to get my grub on and work at the same time and I had the opportunity to do just that at the Surgeon’s Touch Foundation first ever Scalpel vs. Spatula Celebrity Chef with Angela Simmons, Keisha Knight Pulliam, Monyetta Shaw, & The Dream as they got their cooking on to benefit charity. The evening was dope as guests got the opportunity to sample good food from our favorite stars and learn about a great organization that’s doing good in the hood. Check out the details after the inside. I was blessed to have the opportunity to capture images for the 2016 BET Hip Hop Awards green carpet. Some of the biggest and brightest stars all made their way to the ATL for a dope week of Hip Hop Fun. 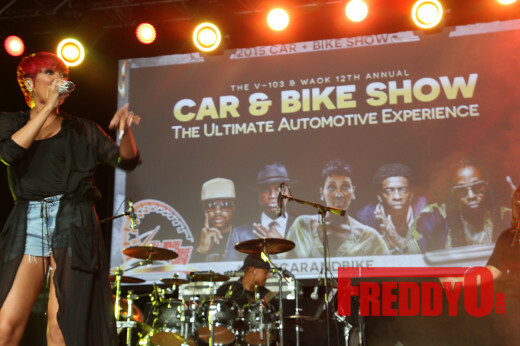 PHOTOS: V-103 Presents 2015 Car and Bike Show with Monica, T.I., Neyo, Rich Homie Quan, The Dream & More! It’s my favorite time of the year to get my party on and check out the hottest cars and bikes that roams the streets of the A; thanks to the V-103 Car and Bike Show I was able to get my fix. Some of the dopest rides were on display for Atlanta to check out during the day long event that included hot music from dope stars like my girl Monica, the homies Neyo, The Dream, Rich Homie Quan, 2 Chainz, T.I., Big Boi, Ice Cube and the cast of the highly anticipated NWA-inspired movie “Straight Outta Compton” and so many more. The V-103 Car and Bike show is for Car connoisseurs and motorbike lovers and a great opportunity for the community to get together and have a great time. I had a ball capturing images of the concert and fun shots of the event that included dope products, services, great food, and exclusive behind the scene photos of your favorite stars. WATCH: @KingDreamDream Says Baby Mama Is Just After His Money! The-Dream Turns Himself In To Face Assault Charges! The big homie The-Dream is dealing with a little situation that involves his then pregnant ex-girlfriend and an assault charge.